Set in 43 acres of grounds and on the banks of the River Thames, Bisham Abbey is located in the village of Bisham just one mile outside of Marlow, Buckinghamshire, and is the headquarters of the National Sports Council. The twelfth century Abbey that once played host to Henry VIII and Elizabeth I is now a thriving Conference Centre as well as boasting superb facilities for corporate activities and private functions such as Christmas parties and wedding receptions. It is relatively accessible, but not open to the public. This beautiful house is said to be haunted by the infamous ghost of the cruel Lady Hoby. 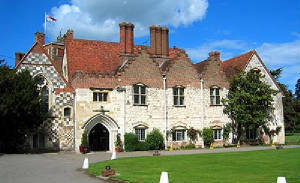 If travelling by car, Bisham Abbey is located midway between junction 4 of the M40 and junction 8 / 9 of the M4. Take the A404M from either motorway and eventually reach the Bisham roundabout with signposts for the centre. 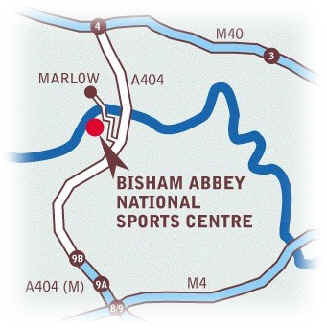 Bisham Abbey is signposted on the left hand side approximately 200 metres from the roundabout. By Train, the nearest train stations are at Maidenhead and High Wycombe with Bisham Abbey a short ride from both.